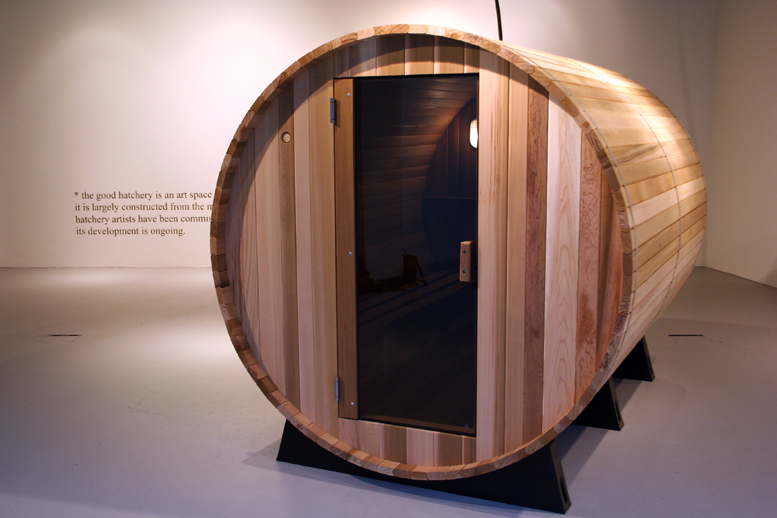 Good Hatchery (sauna 12), 2012. 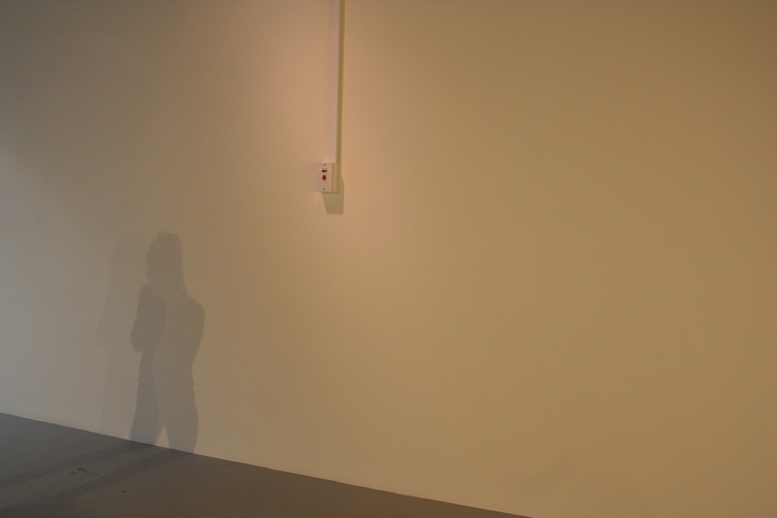 Collaborative exhibition for 'New ecologies of practice', NCAD gallery, Dublin, Ireland. 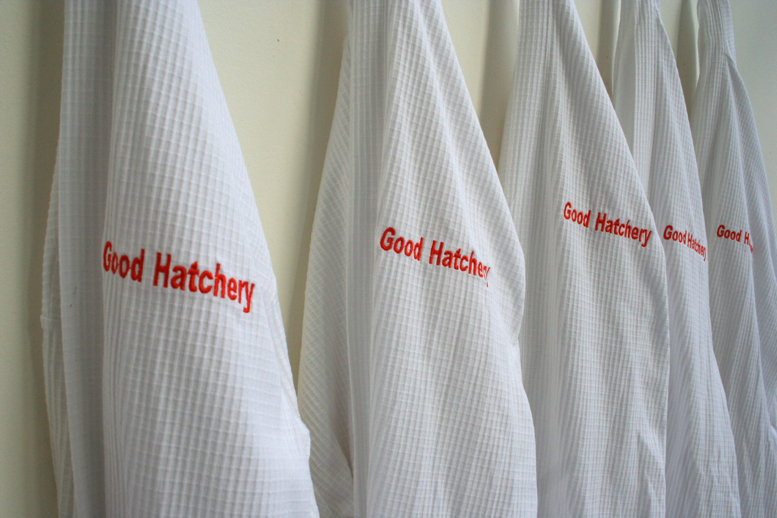 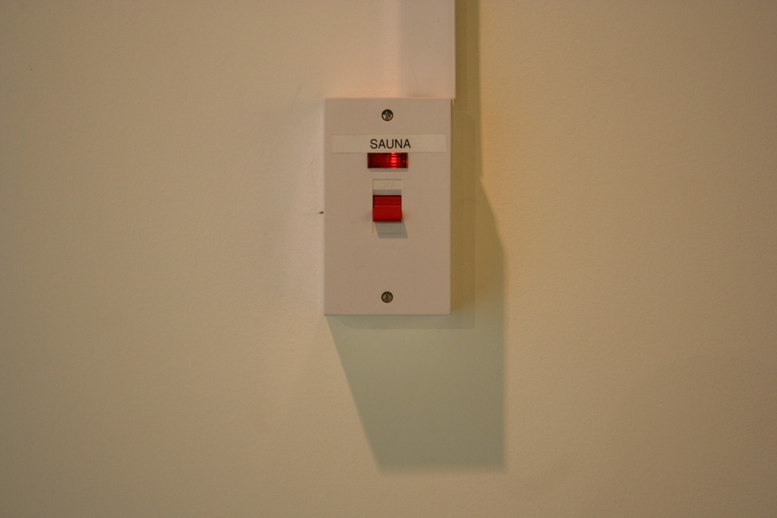 Good Hatchery (sauna 12), is an exhibition made for New ecologies of practice, a season of exhibitions made by artist led groups in Ireland for NCAD Gallery, Dublin. 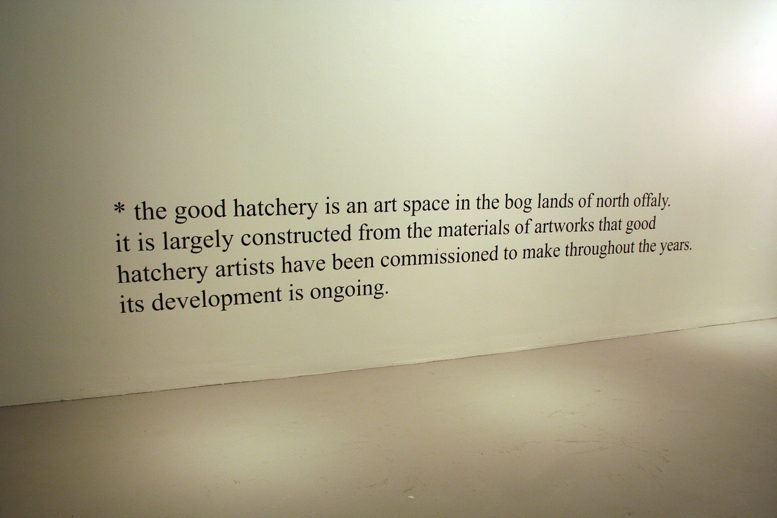 It was made by Ruth Lyons and Carl Giffney as The Good Hatchery and represents some of the ecology, ideology, tactics and spirit of this isolated art space. 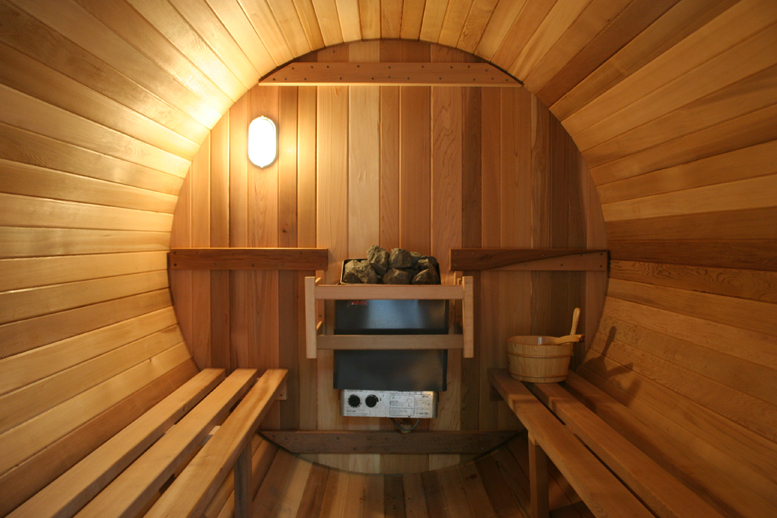 6kw electric sauna from Canadian cedar, robes, text.